Remember the Metal Build Gundam Exia figure we heard about back in Spring but haven’t heard much else about since? It did seem to disappear off the radar but don’t worry, as we have got a worthwhile update for you! 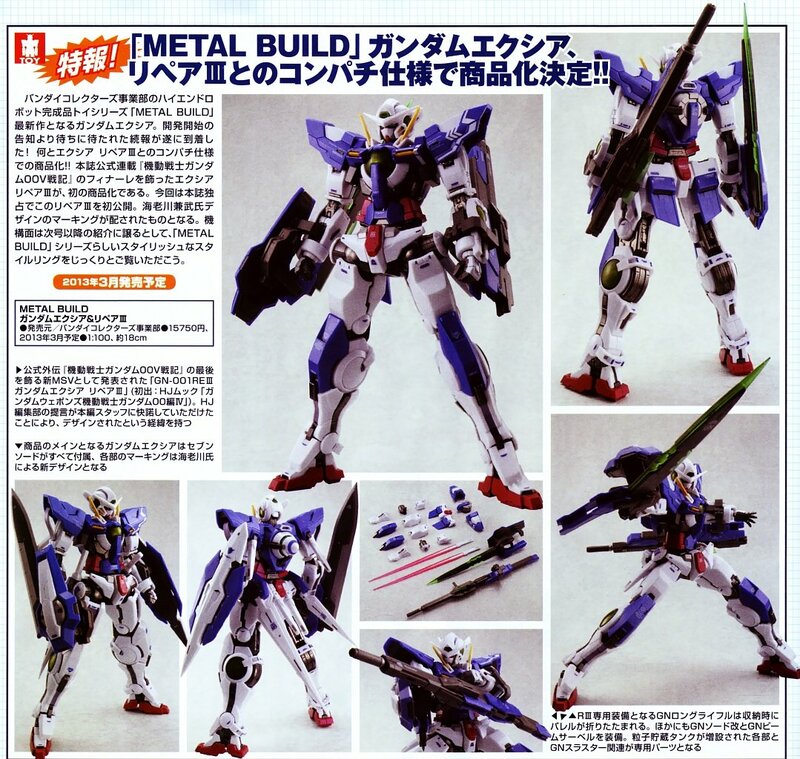 The December issue of Hobby Japan has revealed new images of the Metal Build Gundam Exia. It turns out that we are getting more than just the Exia figure itself. 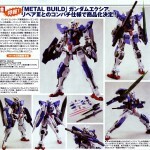 Included are optional parts to convert it into Gundam Exia Repair III, a Mobile Suit Variation(MSV) of the Exia. It’s due out in March 2013 for 15,750 yen. Expect all the diecast metal content and high articulation that the Metal Build line is known for as Setsuna’s MS was one of the more agile Gundams seen in recent years. Thanks to Cybergundam Blog for the scan, click on the thumbnail for a closer look at it! DAMN, I want that so bad.